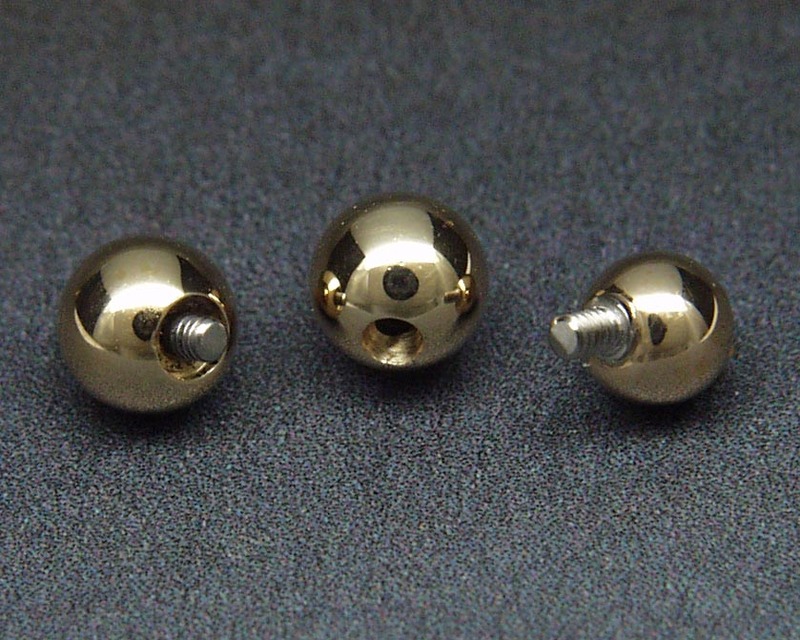 All of our replacement balls are solid 14K gold. We can do any gauge threading or fit it to any gauge captive ring. 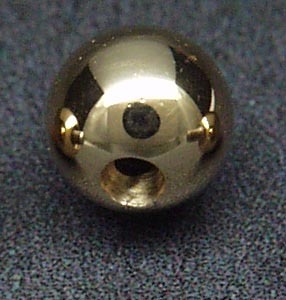 So if you have lost a ball or want to upsize or downsize, we can do that. 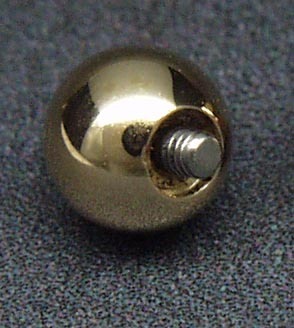 This ball has dimples on the side of the ball to allow the ends of a captive ring to slip into place and hold it by tension. Available in all sizes. 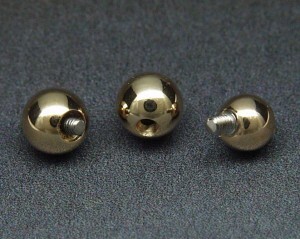 These balls come with internally threaded screws and can be ordered to fit 16g jewelry or 12-14g jewelry. All sizes available.